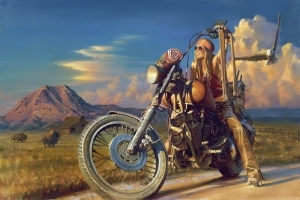 Fresh from the easel (not really; David Uhl paints these watercolors while on airplanes or at shows! 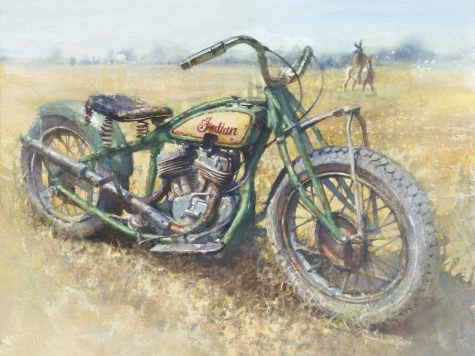 )…we are pleased to present this stunning watercolor, “Indigenous”, for classic Indian lovers out there. 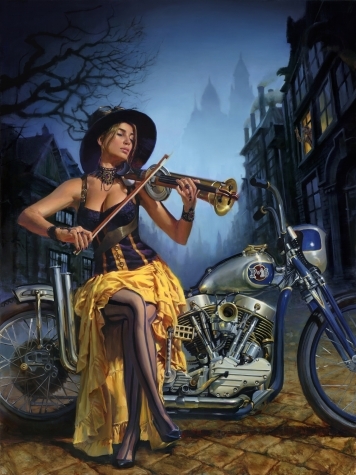 David’s watercolors present a masterful scenario of suggestion and looseness, subtly blending his elements together. 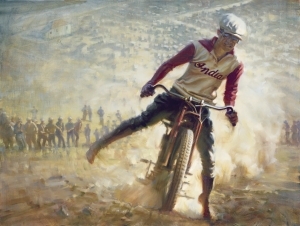 The original painting is already sold, but we are offering a very small print edition on watercolor paper. 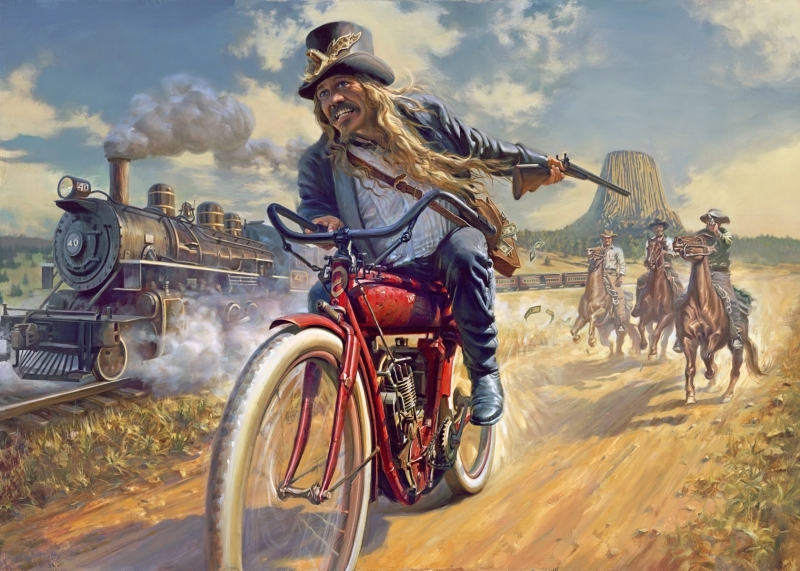 Prints come signed and numbered, with a certificate of authenticity and a nameplate. 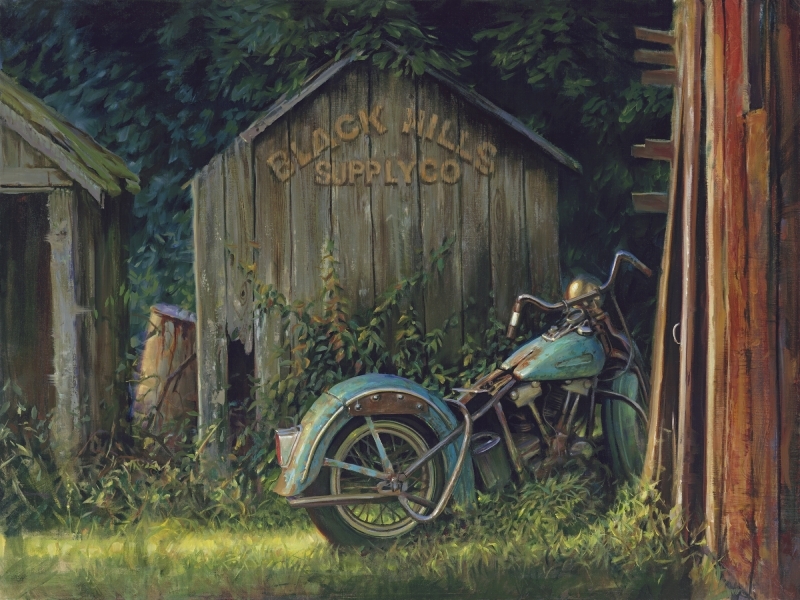 These watercolor prints and originals are the most affordable offerings in David’s Fine Art program and are a great way for many people to start collecting David’s work. 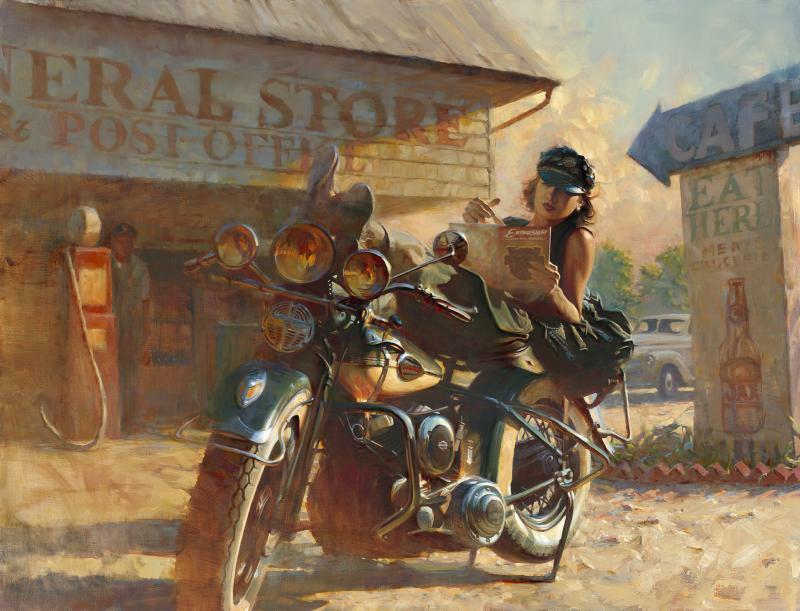 Awesome New Release from David Uhl! Already Rare Call Doug @ (720) 460-7031 for availability! 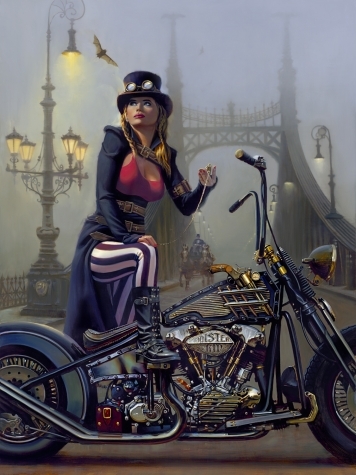 We are proud to announce the worldwide release of "Jessi", David Uhl's newest addition to his Women of Harley-Davidson collection. 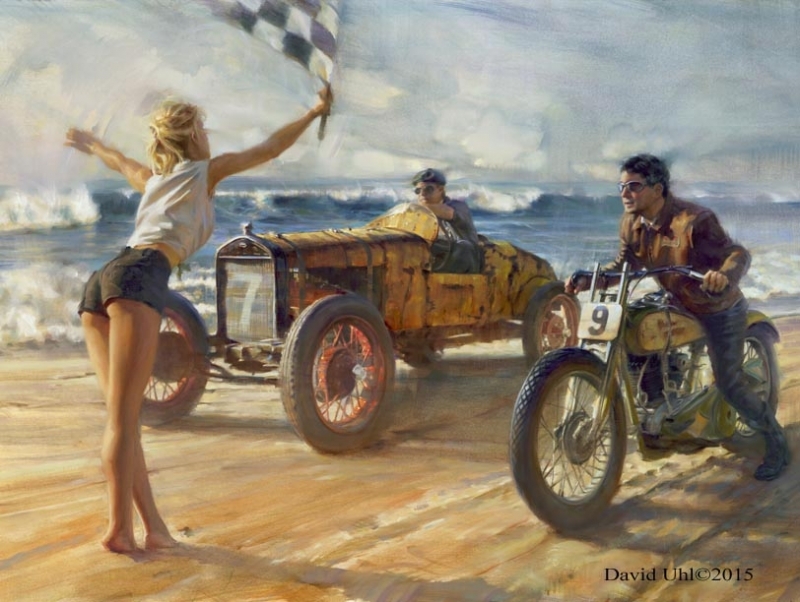 As you may know, this series started with the iconic "Ruby" in 1998 and every 2 years David adds a new woman. "Jessi" joins the ranks of Ruth, Evelyn, Stella, Rose, Gloria, Pearl and Betty. 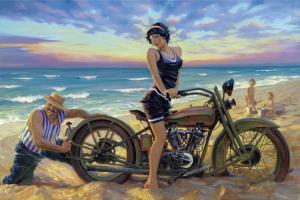 "Jessi" was inspired by the WAVES of WWII, women who proudly served in the US Navy. 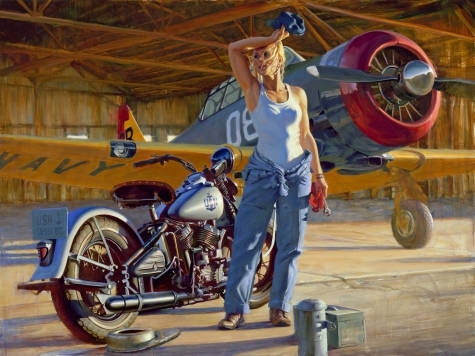 With a WWII SJN T-6 Texan in the background, Jessi Combs (fastest woman on 4 wheels) was the model and Jim Wear (Rocky Mountain Motorcycle Museum) provided the 1945 US Navy Edition Harley-Davidson.